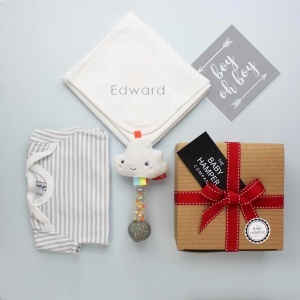 Our selection of exclusive baby boy hampers is only available at The Baby Hamper Company. 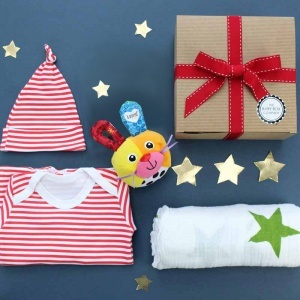 Hand gift wrapped with love to your new parents, our gift boxes contain products such as baby boy clothing, baby skincare and the all-important boy's toys! 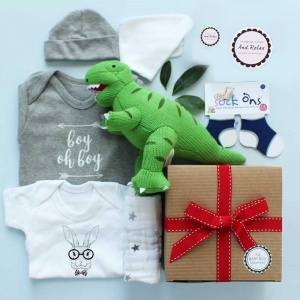 Choose one of our set-price baby boy hampers, then customise it yourself and add any other products for your new baby boy that you like. 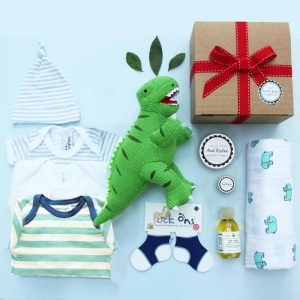 All our baby boy gift baskets (or boxes in our case!) are made to order to create a really bespoke shopping experience. We also include a personalised gift message card to all our boxes, so don't forget to add your message at the checkout. 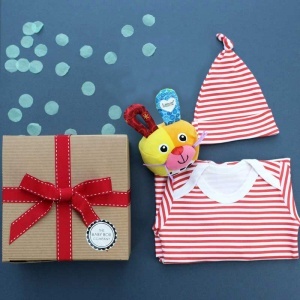 Our baby boy hampers make a perfect baby shower gift. 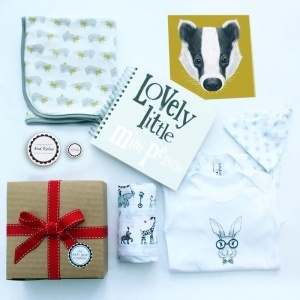 ORDER TODAY before 2 pm for same day dispatch, and next day UK delivery!